Located in the Riverside Rancho area of Glendale, CA. Victory Boulevard just North of Western Avenue. A space like no other in Los Angeles. ​Need to take a break? The Salon: We offer complimentary hair consultations @ this unique private salon - by appointment men, women and children. Feel free to ask questions. ​Whether a cut or a complete makeover, we are here for you. ​The Art Gallery: Every child is an artist. The problem is how to remain an artist once we grow up. "The Patio": a beautiful and serene space which host private workshops, paint parties, music venues and Meet & Greet" social hours. 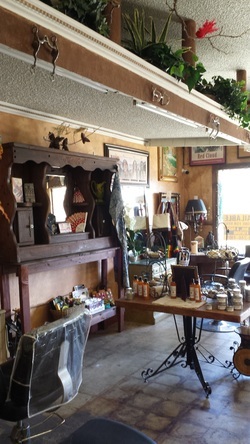 The Boutique: offers beautiful reasonably priced jewelry, clothing, handmade candles, soaps and of course much more ..
Our unique and creative space incorporates all aspects of art.